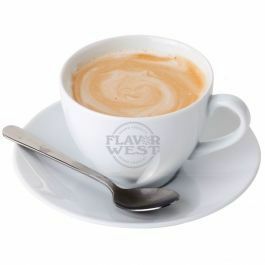 A creamy coffee flavor is a combination of coffee & cream flavoring that bursts with so much goodness. This flavor comes with a note of sweet cream and the pleasant taste of coffee. Type: Coffee w/cream Water Soluble Flavoring. Ingredients: Natural and Artificial Flavoring, Propylene Glycol. USP Kosher Grade Flavoring. Usage Rate: 15-20% for E-use. Flavor suitability: beverages, desserts, drinks, candies, caramel, baking recipe and more. Specific Gravity: 1.12 No Refunds on Flavoring. This is the best coffee flavor available anywhere. BUT, it WILL gunk coils pretty fast.